PIMF Orchestra Camps offer a tremendous opportunity for students of all ages to work in an orchestral setting under the baton of such outstanding musicians as Mark Gigliotti of The Philadelphia Orchestra; Thomas Hong, Artistic Director and Conductor of the University of Pennsylvania Orchestras; Louis Scaglione, President and Music Director of the Philadelphia Youth Orchestra – one of the oldest and most prestigious youth orchestras in the country; Kensho Watanabe, Assistant Conductor of The Philadelphia Orchestra; and many others. 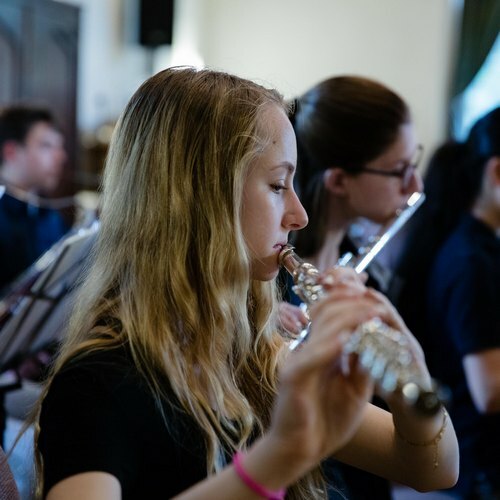 Our Orchestra Camp programs are designed to include student musicians ages 11 – 19 and are attended regularly by students from throughout the U.S. and around the world. 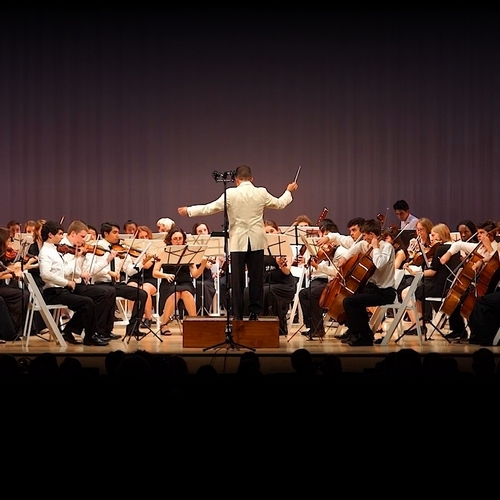 With up to five orchestras per session, it is possible to accept students of varying levels to these PIMF programs. Consequently, auditions are required for placement purposes only and should be uploaded only after a registration has been completed (but no later than April 30). Early registration is highly recommended, as once all orchestra levels are filled to capacity, certain instruments will no longer be accepted. 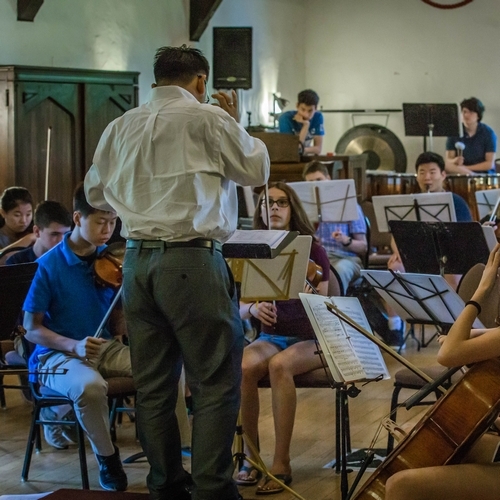 Pre-formed orchestra and ensemble programs are encouraged to participate in the 2019 PIMF Orchestra Competition in July. Ensembles may come with own conductor, or request to be placed with an American conductor while at the festival. Rehearsals will take place daily from Monday, July 22, through Friday, July 26. All ensembles will compete via on-stage performances Friday, July 26, at 5:30 p.m. Winners will be announced at the conclusion of the evening’s events. Winning ensemble will be featured online at: pimf.org for a full year. Individual participants will receive partial scholarships to PIMF 2020, in addition to certificates and medals. Ensemble leaders, please contact Orchestra Liaison, Emily Watkins, at: emily.watkins@pimf.org. An orchestra camp like no other! *Additional fees apply for Chamber Music Program. Day Camper (8:45 a.m. – 5:15 p.m. daily). Please note that the Extended Day Camp fee includes both lunch and dinner. The Day Camp fee includes lunch only. PIMF’s flagship Orchestra Camp programs regularly include up to five orchestra levels. Consequently, it is possible to include in these dynamic programs students of all ages and skill levels. Students are therefore not required to submit audition files prior to registering. Audition files are required for placement purposes only and should be uploaded only after a student has registered for the program. Click here for registration information. 5-10 minutes of current, well-prepared solo repertoire. Performances may be accompanied or unaccompanied. For students desiring to place in higher level ensembles, we recommend that audition recordings include two contrasting pieces. Please note that the Extended-Day commuter fee includes both lunch and dinner. The “8:45 a.m. – 5:30 p.m.” commuter fee includes lunch only. Automated three, six, and nine-month interest-free payment plans available. Simply choose your desired option at check-out. Are all PIMF summer programs held in Bryn Mawr, Pennsylvania? 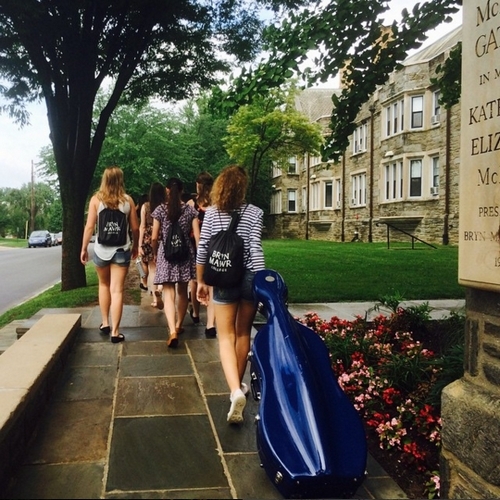 Although some of our year-round programming is facilitated on other sites, ALL orchestra camp programs are held on the estate-like grounds of Bryn Mawr College, (named by Travel and Leisure Magazine as one of the 30 most beautiful college campuses in the U.S.). Do you provide transportation options to/from the PIMF summer programs? Yes, we do! Please phone our office for more details or to schedule a pickup. Is it necessary to submit audition materials for Orchestra Camp prior to registering? No. Although many of our summer music camp programs are by-audition-only, the PIMF Orchestra Camp Program includes up to five orchestra levels. Consequently, it is possible to accept students of varying ages and skill levels. Auditions for Orchestra Camp are for placement purposes only. When is the audition deadline? Audition materials are due on or before April 30. This applies to all PIMF summer music camp participants. 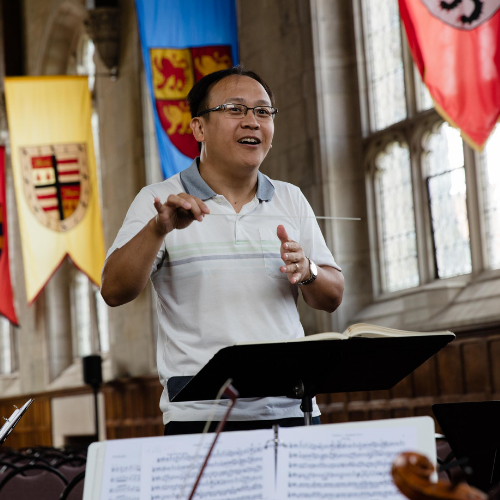 Is there any required audition repertoire for the Orchestra Camp? Visit our auditions page for more info. Please note that students registering for the Orchestra Camp must complete online registration prior to submitting audition materials. How do I submit my audition materials? PIMF uses the online portal Acceptd for all auditions. For detailed, easy-to-follow instructions, click here and choose “How to Upload Your Audition File” at the bottom of the page. What if I need technical help with submitting my online audition materials? Please feel free to contact our Auditions Director at ben.patterson@pimf.org, or contact Acceptd support directly. What is the last date I can register for the PIMF summer music programs? Early registration is highly recommended as enrollment is limited. Once the program is filled to capacity, students are placed on a waiting list. Do you provide rentals if my airline cannot accommodate my instrument? Yes. Many musicians (international students in particular) request information regarding cello and bass rentals. Please phone our Administrative Offices at: 856-875-6816 and we would be happy to assist you in securing a rental instrument. 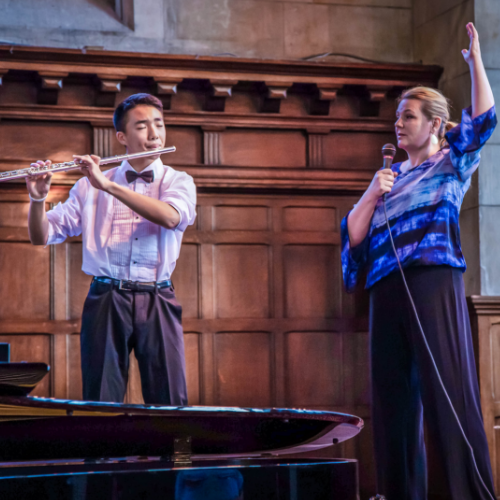 Is chamber music included in the Summer Orchestra Program? Chamber music is an available afternoon option for all summer music camp programs at PIMF (click here for fees and additional information). Are there any final concerts that friends and family can attend? The Grand Finale concerts for all Orchestra Camp Programs are held on the last day of each session. If attending the first week of any session, Grand Finales are held on Friday afternoon at 7:00pm. If attending a two-week session (or the second week in any session), Grand Finales are held on Friday evening at 5:30pm. All festival orchestras perform at every Grand Finale. Looking for a Solo Performance Program? "Can't wait for next year!" "Loved the focus on practicing"
"So excited for this upcoming year!" "The staff are always so courteous and helpful"